VICDA first pilot Agriculture project in Kenya which has been funded by GVN Foundation for community economic empowerment has turned out to be very successful where 530 farmers are the beneficiaries of Sunflower farming where each of the household has been funded from one acre to 4 acres. The project started mid May,2015 and its now the harvesting season where the farmers are harvesting their produce which are ready for the local market by one of the biggest cooking oil manufacturer in Kenya who got in partnership with VICDA. 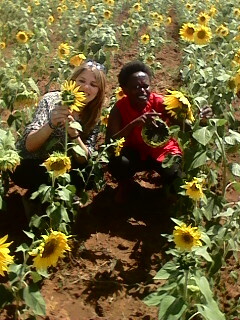 The sunflower is being used as a cash crop to empower the poor rural families in Kenya. Due to the outstanding success of this project,from last week VICDA has been able to register more 600 new farmers in Nakuru county who will start sunflower farming next month. So far,our total registered farmers are 1,130 households. 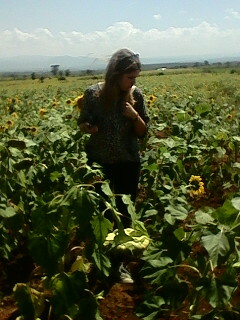 The sunflower crop has 4 seasons in a year in Kenya and its a drought resistant crop. Thank you so much GVN Foundation for funding this wonderful Agriculture Project in Kenya. Incase you are interested in supporting rural Kenya family economically through Agriculture,please click on the Donate button on your right hand side: The donation start US$10 and above for buying seeds and manure. The farmers provide the labour for themselves.